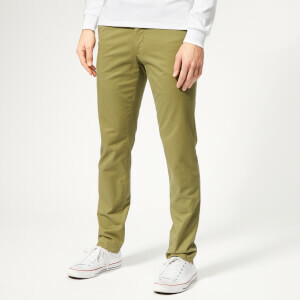 Men’s lightweight, mid-rise, military chinos from Polo Ralph Lauren. 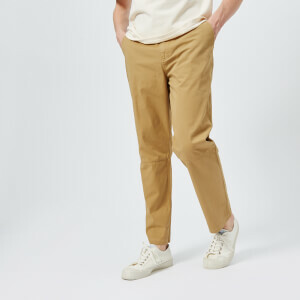 Tailored for a slim fit, the trousers are crafted from stretch cotton and shaped to sit on the hips with slim-fitting legs. 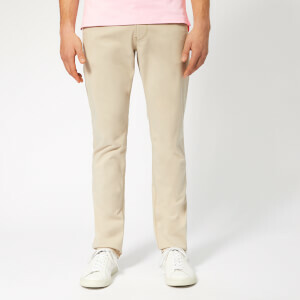 Features a slim waistband with multiple belt loops, a zip fly and a single coin pocket at the front. 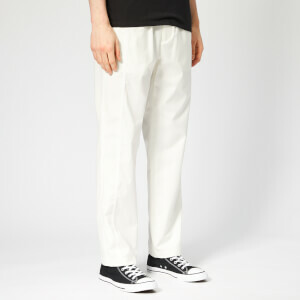 Two slanted side slip pockets and jetted rear pockets with button fastenings complete the design. Finished with tonal topstitching and back yoke darts for a clean finish.